For the first time in its history, the International Conference on Engineering and Ecohydrology for Fish Passage will be held in the Southern Hemisphere in Albury, New South Wales, Australia. The chosen location for the conference is at the headwaters of the Murray River, the lifeblood of the largest river basin in Australia. The Murray-Darling Basin embodies a diverse range of fish passage works and is home to an array of innovative solutions that are underpinned by a long-standing cooperative approach between engineers, scientists, managers, and asset owners. Being the centre of fish passage innovation in Australia for well over a decade, it is apt that the Murray-Darling Basin hosts this major international event. The Albury-Wodonga region is home to more than 100,000 people and two regional universities (Charles Sturt and Latrobe). The region has a range of iconic, diverse Australian landscapes which provide extensive opportunities for sightseeing, outdoor adventure, fishing, and visiting premier wineries. In addition to the many treasured cafes within the twin cities, delegates will enjoy an amazing diversity of pubs, clubs and restaurants featuring fresh regional produce. 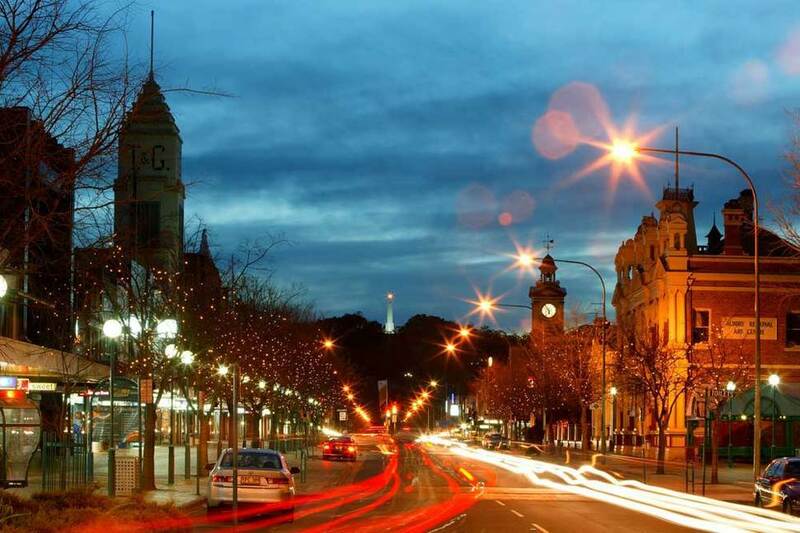 Both cities, Albury and Wodonga, can easily be explored by foot allowing delegates to take time to appreciate the many historic buildings, wide country streets and established gardens. The region is home to the Yorta Yorta and Wiradjuri aboriginal nations which have ongoing links with the land, river and fish, dating back thousands of years. The conference will be opened by representatives of these nations in a Welcome to Country ceremony. Defined by its unique wildlife, white sandy beaches, and World Heritage-listed natural wonders, Australia is a dream destination for many, and a beautiful place to visit. If its leisure you are after, then enjoy fine dining and world renowned wineries, or immerse yourself in Australia’s unique heritage and indigenous cultural experiences. Tourism opportunities abound, with further information available from the Australian Tourism Website. Under Australia's universal visa system, all visitors to Australia must have a valid visa to travel to and enter Australia (the only exceptions to this are New Zealand passport holders and permanent residents of Norfolk Island). There are many visa options available to people wishing to visit Australia. The appropriate visa option will depend, amongst other things, on the person's purpose for visiting Australia, and the passport they are holding. Please refer to the following links for information pertaining to obtaining an Australian Visa and acquiring a Visa Letter. The following "visa finder" web page can be of help to find out which visa is suitable for you. Please also refer to the Business Information Sheet for guidance on the visa options that may be most suitable for your travel situation. Please also refer to the General Information for Visa Applicants. Please take into account processing times and lodge visa applications as early as possible.